Sylvia is a professional with considerable hands-on experience in Strategy Planning and business development, Balanced Scorecard & Performance Management, Market Research & Analysis,Tactical Marketing, Business Process Improvement/Excellence (Six Sigma), commercial operations, program management and accounting with exposure in working in extremely competitive markets in Sub Saharan Africa and the United Kingdom. She has experience in various sectors including Oil & Energy,Healthcare, ICT and Telecommunications. Sylvia has been Ericsson Innovation Coach nominee to help coach and support employees with innovative ideas in Sub Saharan Africa to boost creation of New Business Development and Innovation from within. 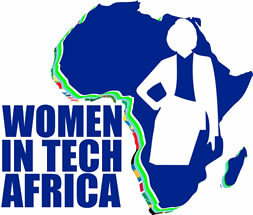 Sylvia was selected as a TechWomen Emerging leader from Africa,an Initiative of the U.S. Department of State’s Bureau of Educational and Cultural Affairs from 1400 applications from Africa & the Middle East in 2014. She founded GlobalX Investments Ltd in 2014 due to her passion to use technology in solving business issues as well as provide solutions with a social impact using ICT & Telecommunications.